America has suffered two economic blows in less than a decade: the collapse of the dot.com bubble in 2000 and the collapse of the real estate bubble in 2007-2009. These blows have left the U.S. struggling to stay on its feet. 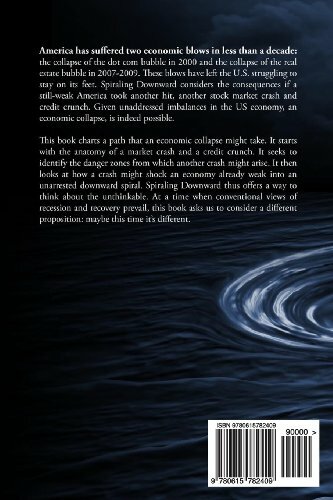 Spiraling Downward considers the consequences if a still-weak America took another hit, another stock market crash and credit crunch. Given unaddressed imbalances in the US economy, an economic collapse, is indeed possible. 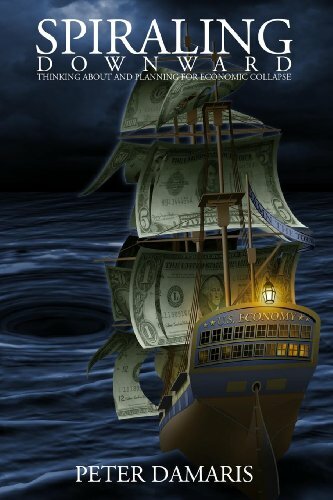 This book charts a path that an economic collapse might take. It starts with the anatomy of a market crash and a credit crunch. It seeks to identify the danger zones from which another crash might arise. It then looks at how a crash might shock an economy already weak into an unarrested downward spiral. Spiraling Downward thus offers a way to think about the unthinkable. At a time when conventional views of recession and recovery prevail, this book asks us to consider a different proposition: maybe this time it’s different.